For today’s review we will be delving into an alternative dimension torn open by curious practitioners in search of a new magical power to revive a dying Earth. Known as ‘The Breach’, the desolate city of Malifaux was discovered which humans soon begin to populate and explore further afield. It’s then that the precious, magical soulstones were found, and like anywhere else where profit can be made, fighting will soon follow. 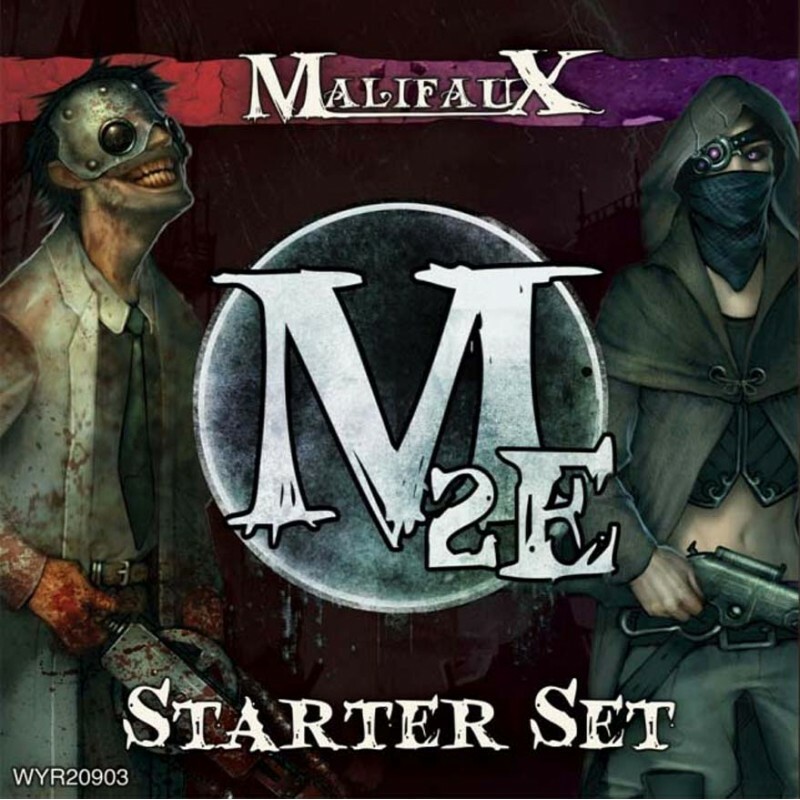 For me the Malifaux 2nd Edition Starter Set is the beginning of the journey to find out if it will conquer the tabletop world of humans or be thrown back through The Breach to the Neverborn in defeat. 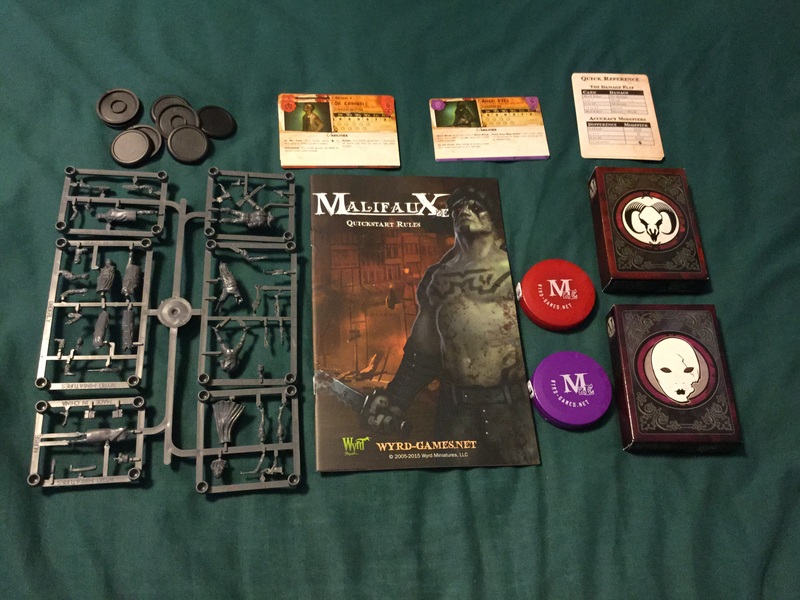 When I found out that I would be reviewing Malifaux, I took the usual route of researching the history of the game and what other sets could be purchased etc. My first thought of this Victorian, steampunk, horror, western (there are more, but I have a word limit) themed miniature game was that it just seemed too big for what it is. Some of the seven factions didn’t quite seem to fit with my initial impression of the theme. For example, I can see why the Guild’s Doctor Grimwell and his Orderlies are included, but how do the Neverborn zombie-like Bloodwretches fit with a mercenary female character called Angel Eyes? Looking through some of the other factions, I found more evidence of this very broad and loose theme in the form of the Ten Thunders faction’s Monks; surely that doesn’t fit with steampunk or horror. At this point I was quite worried as I had been looking forward to playing a 32mm tabletop game that doesn’t include Space Marines or Lord of the Rings characters. The point in which my worries were allayed came when visiting the Wyrd Games website and I began to read the backstory to Malifaux, which I can assure you all, is brilliant. Regardless whether you think you’ll invest in the game or not, visit the site and read how Malifaux came to being. For those of you that will be playing the game, it will add real depth and bring an understanding to the game that can’t come by just looking at the box or even reading a review. I always approve in any game that gives players a backstory, and I think it’s something that more publishers should invest in. Thumbs up to Wyrd. Firstly, the box does give you that steampunk, horror feel with a gruesome Dr. Grimwell looking self-satisfied, wearing welding googles and a blood soaked white coat with surgical chainsaw in hand. Opposite him is the mysterious looking assassin Angel Eyes who hides her face with both hood and scarf, although her rifle is certainly visible. Images of the other six characters are situated around the sides of the box with all eight miniatures pictured on the back. Good start. Despite the rule book being labelled as ‘quick start rules’ and noting that it is aimed towards new players, it is extremely text heavy with few pictures or diagrams to visually explain what it requires you to do. This leads to a lot of backwards and forwards thumbing of the pages. On a positive note, the rule book does offer five scenarios that help players build up play via very specific instructions such as simple ‘stand still’ attack actions to movement and other basics. As with all miniatures games the main focus is on the miniatures themselves, and Malifaux should be no different. I feel that at this point I must explain a major frustration of mine when it comes to tabletop miniatures games, which is also very apparent in Malifaux. That is, why are we still being sold miniatures that we must assemble when companies such as Fantasy Flight and Cool Mini or Not are creating fantastic, pre-assembled miniatures that offer a really high level of detail whilst being easy enough to paint and ready to play on the table immediately? Wyrd Games are not the only ones at fault here as other miniature companies are doing exactly the same thing. As we speak, this hobby that we all love is undergoing a mini revolution, attracting huge numbers of new players and growing at a rate few could have predicted. 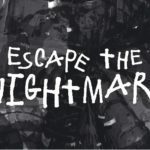 Board game companies seem to have grasped this and have quite notably upped their game, so miniature companies need to wake up and do the same or risk being left behind. The plastic miniatures in Malifaux require full assembly, which took my friend and me at least two hours and proved massively fiddly. The stability of the miniatures is also in question with thin contact points between model and base which could easily be broken. The level of detail is good but not great; the models would prove relatively easy to paint but certainly won’t look as good fully painted as many board game miniatures. Each character in Malifaux has its own stat card which denotes various pieces of information such as its faction, cost to use, in game stats such as movement or defence, and the character’s special abilities. The stat cards have been designed really well with a ‘secret dossier’ look about them. The cards are easy to read, and once a player is used to finding what they are looking for, they will be able to find the required information at a glance. Players will also get two fate decks in this starter set; these are used in the most part to decide the outcome of encounters (battles). Each faction has its own unique fate deck complete with its own artwork, which in keeping with the rest of the game looks pretty cool. 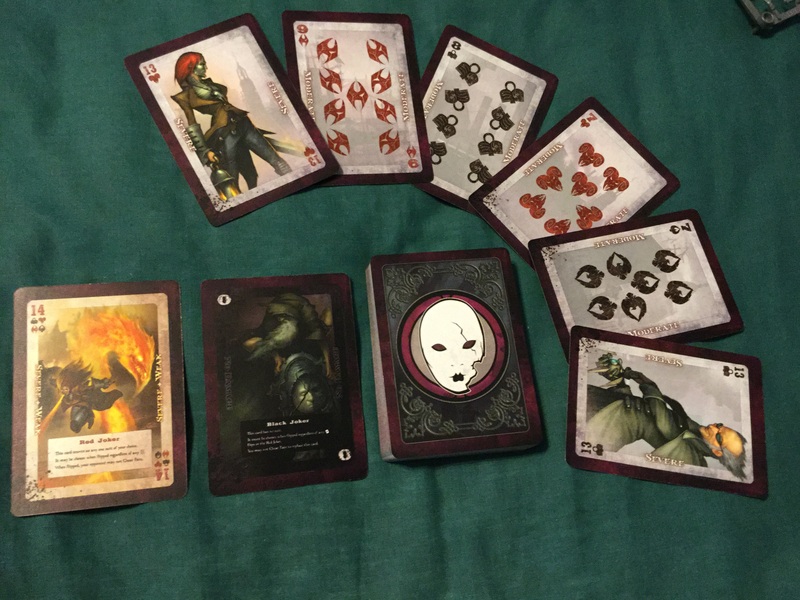 Regarding the cards, however, this is where the uniqueness ends as both fate decks, and what I presume is the same with every faction’s fate deck within the Malifaux universe, are just a bog standard fifty four card poker deck complete with jokers. Players could literally play Malifaux with a £1 deck of cards without any impediment. Sure, the suits are named differently, for example, hearts are represented by rams and spades by crows, but that is it, there are no other noticeable differences. It’s obviously a very clear track that Wyrd have gone down too, as they reference this poker deck parallel several times in the rule book. My immediate thought was, “why?”. Why use a standard set of poker cards when you are transporting players to another dimension using fantastical characters? For me it’s a missed opportunity to make a component unique to a game, something players would look forward to opening and reading through the commands or instructions on each card. 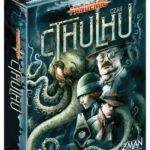 I do realise that the decks have to have a degree of comparison with one another as Malifaux does not use dice, something we will talk more about later, but there is still room to make a faction your own by creating a fate deck which would make the game much more personal, varied, and interesting. Also included with the starter set are two custom tape measures, one for each faction which is pretty cool and quite a nice touch from Wyrd. Another nice touch that I will mention now (this has nothing to do with this starter set) is the commitment Wyrd show to promoting the series to new and existing players. Wyrd have a long list of what they call Henchmen, whom are based pretty much wherever you are. Using their website I found two of these Henchmen within a 20-30 minute drive from me, and they exist to run community events which allow you to try the game before sinking cash into it. I think this is paramount to a budding miniature gamer. As we all know, the hobby isn’t cheap, so making sure that this is the series for you is imperative. Wyrd seem to have grasped this, so well done. We will now go through the basic set-up and run through of Malifaux before closing with a few observations and our summary. Usually the gaming space is 3×3 feet which will then be filled with different types of terrain (more on this to follow); players will then place their crews, in this case four models from one of the two factions, on opposite sides of the game space. Each player draws six cards from their own fate deck to create a hand, then flip the next card of the deck over to determine who goes first (the player with the highest number decides). That player will then activate their first mini and the game begins, alternating from player to player until all minis have been activated. When one mini engages with another using either a melee or ranged attack, a battle ensues. To resolve this the two players must note the attack and defence stats on that model’s stats card, then in unison players will flip the next card of the fate deck, adding the number of that card to the attack or defence stats. The losing player may then ‘cheat fate’ by replacing their flipped card with a card from their hand, giving them a new total. The other player may now do the same which will determine the final outcome of the battle. There are other factors that come into play such as positive/negative twists, upgrades, special abilities, and modifiers, but that is true with most games of this type, so a full explanation within a review for each is not required. If the attacker has won the battle, then they will flip another card from the fate deck to determine how much damage the target model must take; this ranges from weak to moderate to severe and will change depending on the attacking model. This is also determined by flipping a card from the fate deck. At the end of each turn, players will shuffle their remaining hands back into their own fate deck and draw six new cards. These turns will continue until one crew has achieved enough victory points to be declared the winner. These are some of the observations that I have noted whilst playing Malifaux. Throughout the game, players must keep track of which models have taken damage. To do this the rule book suggests using a dry wipe marker to write on the stat cards or by using pennies or beads. This, for me, is not acceptable in a modern, £40+ game which I feel should provide tokens or at least score books instead of putting the onus on players to buy or invent an alternative. Using a marker is simply tempting something to go wrong and ruin the stat card, and pennies…….really? The second observation is in regard to terrain which is hugely important when playing Malifaux and also makes the game a lot more fun and interesting. The rules state that a standard game board will be 50% to 70% covered by terrain and also notes the different types of terrain and the rules for it. That being said, players are provided with nothing in the way of terrain within this set and instead are advised to use books and cups to imagine what the real game could be like. This annoyed me just as much as the ‘pennies’ reference, and it’s small oversights like this that really let Malifaux down. I know this is just a starter set, but if terrain is that important, provide players with at least something. Even if it was just a few strips of card to act as walls or outline a building, it would be far better than fighting over the latest copy of Harry Potter and an Iron Man mug. Luckily, my friend is a mini’s enthusiast and was able to recreate several scenarios with already bought and painted terrain, but that will not be the case for 90% of the people who buy this set. The last major observation is more of a personal one than actual fact, and I accept that this will change (and rightly so) from player to player. This is that I don’t think flipping cards to determine the outcome of a battle is as fun as rolling dice. Even with the cheat fate mechanic that accompanies it, it’s still just turning the next card in the deck over and adding two numbers together. I would have found this a lot more interesting if at the end of each round you didn’t reshuffle the decks and draw six new cards, as that would have made cheating fate a lot more tactical. Players would then be wary about how and when they use their best cards, not wanting to peak too early, as it were. But by reshuffling the deck (a standard poker deck at that, remember) players could quite easily have a very similar hand from round to round. This took most of the tactical and strategic element of the game away for me and left me with a straight up ‘get close and kill the other guy’ scenario. I accept that this might change with the more in-depth rule/campaign books, which I believe to be scenario driven, but this set does not offer that variant of the game.